When I was a kid playing sports I always wore jersey # 16. The number 16 is two 8’s. 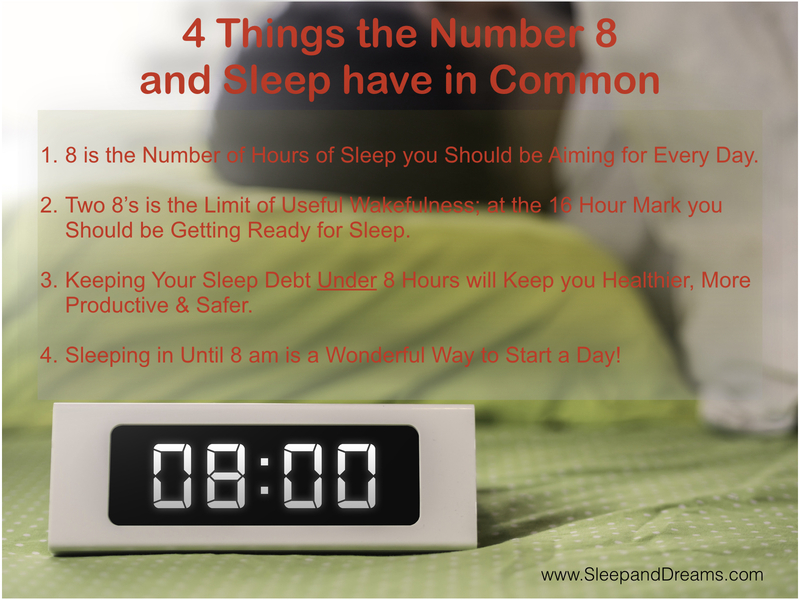 The number 8 is my new favourite number because it has so much in common with sleep. If you would like to use this InfoGraphic, right click on it and you should be able to save the image. If you would like it in a different file format let me know. Check your sleep debt with this handy formula.